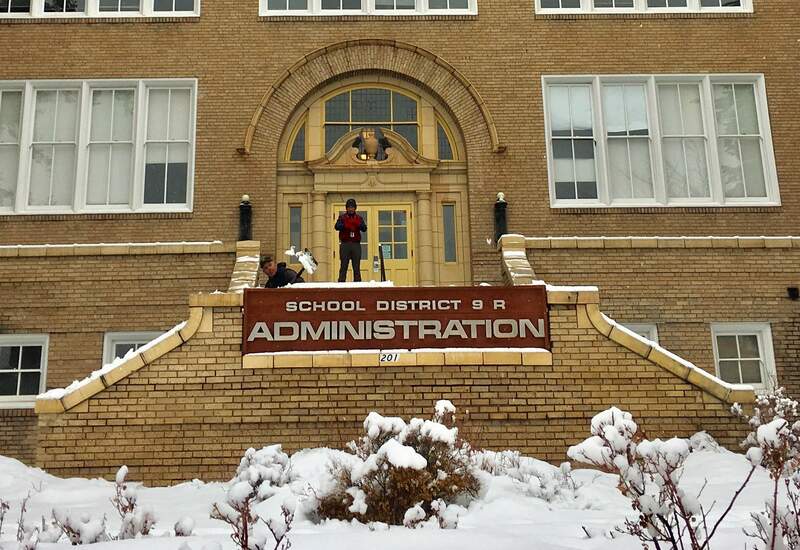 Workers shovel the steps Wednesday at the Durango School District 9-R Administration Building. Durango schools were closed Wednesday as a result of snowy conditions. Snow piles up in Hermosa early Wednesday morning. The weather has caused several cancellations and closures. Icy and snowpacked roads have prompted a number of closures and warnings today across La Plata County. Durango School District 9-R canceled all school and school-related activities. The decision was made based on a recommendation from county emergency management officials, the school district said shortly after 5:30 a.m. Wednesday in an announcement.Bayfield and Ignacio school districts are holding classes as usual Wednesday.Fort Lewis College canceled classes and closed offices, except for essential staff.Mountain Middle and Animas High schools canceled classes.La Plata County government also closed offices.The “front hill” on East Eighth Avenue leading up to FLC campus is closed.Chain laws are in effect for Wolf Creek pass on U.S. Highway 160, Coal Bank, Molas and Red Mountain passes on U.S. Highway 550 and Lizard Head pass on Colorado Highway 145. Passenger vehicles traveling Coal Bank, Molas, Red Mountain and Lizard Head passes must have snow tires, use chains or have four or all wheel drive.Temperatures were warming Wednesday in Durango, causing rapid melting. The Colorado Department of Transportation has been using snowplows to “feather” snow from the shoulder of the road into the driving lanes of north Main Avenue and Camino del Rio through Durango. The technique has caused slushy driving conditions, but the method will assist with accelerated melt, said CDOT Maintenance Deputy Superintendent John Palmer in a news release.“It’s an unexpected method, but if we can push and feather the snow onto the driving lanes the warm road surface and warm air temperature will work with the deicing liquid which our plows have been spreading on the highway over the past few days,” Palmer said. The Southern Ute Indian Tribe offices are closed. More information is available on their hotline at 563-4800.San Juan Basin Health Department offices in Durango and Pagosa Springs are closed.The Fort Lewis Mesa and Sunnyside Branch libraries are closed. Also, the Common Grounds Cafe at the Durango Public Library main branch is closed. The main library is open. 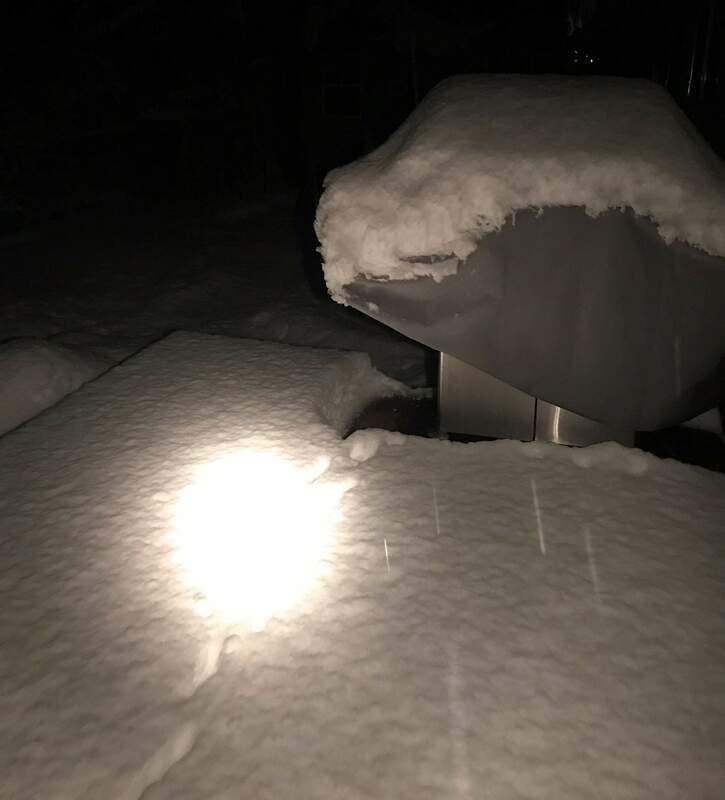 Power was out to 700 customers in the Hermosa area after a night of wet, heavy snow, according to La Plata Electric Association. Crews worked to get much of it restored. As of 8:30 a.m., only 55 customers were without power. To report an outage, visit www.lpea.com/report-outage.“In addition to outages, LPEA customers are experiencing ‘the blinks’ – brief power outages that occur when snow dislodges from the electrical wires, causing them to bounce and come in contact with each other or other objects,” LPEA wrote in a news release. The National Weather Service forecast more snow today throughout Southwest Colorado. Weather maps show Durango could receive double-digit inches of snow today, making travel somewhat sketchy. Purgatory Resort was reporting 9 inches of new snow, Wolf Creek Ski Area was reporting 8 inches and Telluride Ski Resort was reporting 5 inches.